Running a facility is a huge job. Sometimes it's the little problems that cause the biggest delays and the most downtime. 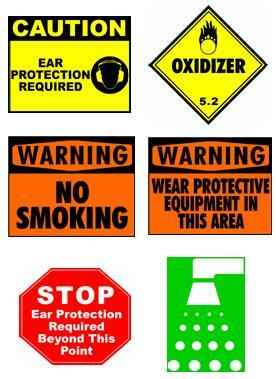 By properly labeling your facility, you reduce your employees' exposure to potential hazard. When your workers feel safe, they're more confidant in their ability to do their job. This byproduct of effective industrial labeling makes your plant safe, efficient and profitable! 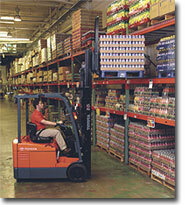 Why buy from Industrial Safety Solutions? Industrial labels can be expensive, but more importantly they are required! Our Industrial labeling system allows you to tackle the job of facility labeling at a fraction of the cost! Bold, vibrant, indoor/outdoor weather resistant vinyl material allows you to design, print, peel and stick your label where it will get the most attention. Excellent for general maintenance labeling, production labeling, rack and shelf labeling, pipe marking, directional and safety labeling. Custom, on demand labels fast and efficient for less!